The CPU-162-14 is a COM Express module that delivers incredible performance and power efficiency: it supports dual and quad core 2nd Generation Intel® Core™ CPUs, providing the right power/performance profile for any application. Designed for maximum reliability, the CPU-162-14 supports up to 8GB ECC memory, with memory and CPU soldered directly on the board to provide superior resilience to mechanical stress and vibrations. 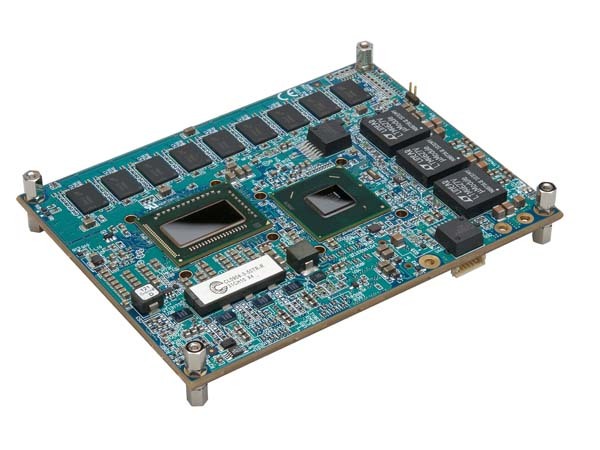 With a Basic Module form factor, the CPU-162-14 packs a large number of peripherals in a very compact design: Gigabit Ethernet, four SATA, eight USB, three video ports, x16, x4 and two x1 PCI Express and PCI. The CPU-162-14 simplifies programming and development with support for Window® 7, Windows® Embedded Standard 7 and Wind River Linux.